My family has an annual Christmas Eve party that includes an opportunity to share a story, talent, song, thought, etc. This year, as part of it, we decided to do a “carol-off.” We choose a carol, and everyone do something based around the theme of that song. We chose Bring a Torch, Jeanette Isabella. We ended up with an Irish dance performance, a traditional piano/flute/French lyrics performance, a bowed-glass performance, and this recording of mine. I didn’t want to post this before the party, because I couldn’t let the family see it yet. Now I can share it with everyone. Enjoy! 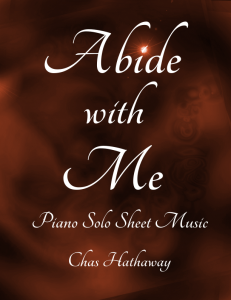 We’ll Bring the World His Truth Piano Solo Arrangement Released! The music Video to “If You Could Hie to Kolob” is finally done! Yay! Enjoy! I’ve always loved the primary song, We’ll Bring the World His Truth. I was asked to play a musical number in a stake priesthood meeting a couple weeks ago, and the topic was missionary work. I decided this was a great excuse to come up with an arrangement for it. Let me know if you’d like me to make it into sheet music. I’ll have to get permissions from Janice Kapp Perry for that, since the sheet music wouldn’t be free, but I’m willing to get permission if you guys want to be able to play it! Either way, enjoy!